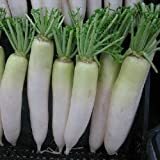 Radish plant growing leaf plant of the genus Raphanus also known for the varieties as Daikon, Black radish, Watermelon radish or European radish, Radish is an annual or biennial plant, can grow in temperate, mediterranean or subtropical climate and growing in hardiness zone 2-10a spring planting 10a-11 in autumn planting. Leaves edible the shape pinnatisect deep lobes with oval top and grow in radial structure, the color green. 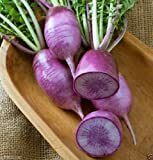 Root edible color is white sometimes red, the peel can be white, yellow, red, purple, black, the shape can be round or elongated. 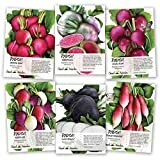 When to trim Radish leaves? 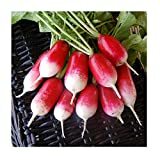 How to trim Radish leaves?